When ASSOCIATES appeared on ‘Top Of The Pops’ in March 1982 with ‘Party Fears Two’, it was the first time that many had experienced the kaleidoscopic vocal of Billy Mackenzie. With the passion of an otherworldly Orbison crossed with David Bowie and Russell Mael, Mackenzie’s outlandish operatics with a four-and-a-half octave range made him a stand out character during the post-punk era. With influences like early ROXY MUSIC, SPARKS, Philadelphia soul and jazz, he sounded like Mario Lanza on amphetamines with a modern, majestic take on Weimar cabaret. But as his ASSOCIATES founding partner Alan Rankine experienced, Mackenzie’s personality quirks could make it difficult for him to channel his obvious talent. With his notorious eccentricity and mercurial temperament, this inevitably led to the pair parting ways in late 1982 after just three albums. It could be argued that if Mackenzie had been prepared to play the pop game, could ASSOCIATES have been as big as A-HA? Martyn Ware, who worked with Mackenzie on both BEF and post-Rankine ASSOCIATES recordings, told The Electricity Club in 2011: “Everybody knows he was bonkers and had a particular take on things but musically, we fitted together very well. He lacked a little in terms of understanding the production process and how sound fitted together but what he lacked in that respect, he made up for in his arrangement ideas”. Always a troubled soul, Mackenzie sadly took his own life in 1997 less than a year after the death of his mother. But his legacy has lived on as a key musical influence on Nordic acts such as BJÖRK and SIN COS TAN while songs like ‘Club Country’ and ‘Party Fears Two’ have remained in the public consciousness, courtesy of covers by ONETWO and HEAVEN 17 respectively. Also, an upcoming single ‘Untouchable’ by Glenn Gregory and Stephen Emmer has been conceived as a tribute to him. Scattered across more than ten full length albums, various collaborations and one-off recordings, what songs deserve to be on an imaginary compilation as an introduction to Mackenzie’s work? 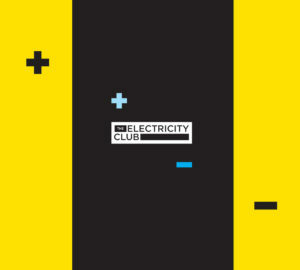 Here are 18 songs which The Electricity Club have chosen to gather the sporadic genius of Billy Mackenzie. 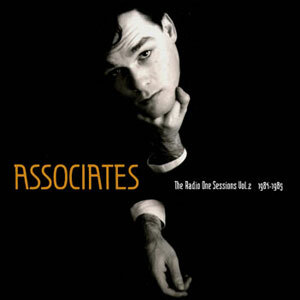 ASSOCIATES had debuted with a fairly guitar dominated album ‘The Affectionate Punch’ on Fiction Records. But the first musical signs of a fascination towards the Neu! musik aus Deutschland came with the funereal Motorik pulse of ‘White Car In Germany’. The swirling electronics, cold atmosphere and treated percussion were intended to sound as un-American as possible. The lyric “Aberdeen’s an old place – Düsseldorf’s a cold place – Cold as spies can be” accurately captured post-war tensions under the spectre of the bomb. With its iconic honky tonk piano line, ‘Party Fears Two’ was a magnificent song about dealing with the perils of schizophrenia. It also kick started a brief period when ASSOCIATES subverted the UK charts with an avant pop approach that fitted in with the Synth Britannia template of the times. A Top10 hit and emotive to the nth degree, the original single version is still the best and total perfection. One of the highlights from the ‘Heroes’ album, Mackenzie’s version of ‘The Secret Life Of Arabia’ with BEF was even more eccentric and histrionic than Bowie’s original which now seemed straightforward in comparison. Featuring Britfunk exponents Jo Dworniak of I LEVEL and Neville ‘Breeze’ McKreith of LIGHT OF THE WORLD syncopating to Martyn Ware’s thunderous Linn Drum program and Roland VP-330 textures, it was one of two Mackenzie voiced tracks that formed the original ‘Music Of Quality & Distinction Vol1’ opus. This eccentric cover of ‘It’s Over’ closed ‘Music Of Quality & Distinction Vol1’ and featured among its guitarists Hank Marvin and John Foxx whose studio The Garden was the venue for the recording. Operatic extremes with a pop heart, Mackenzie was on top form as Martyn Ware’s beloved Linn Drum led an orchestral arrangement that gave him plenty of room to indulge in his big theatrics without overplaying the emotion and despair. ASSOCIATES felt a slight affinity with the New Romantic movement but following a night out in The Blitz Club, Mackenzie and Rankine opted to note their perceptions of the scene’s vacuous nature via a musical outlet. ‘Club Country’ sent up the scene with its lyrics and threw in vicious synthesizer lines, manic rhythm guitar and John Murphy’s crashing treated drums. Mike Hedges’ layer-upon-layer production was key to the song’s impact. Kind of reflecting CHIC’s experiences at Studio 54, ‘Club Country’ was Synth Britannia’s very own ‘Le Freak’. From ASSOCIATES’ not exactly great debut single ‘Boys Keep Swinging’ onwards, Mackenzie was very much into reinterpretation. And on many occasions throughout his career, he was highly adept at it too. Poignantly, ‘Gloomy Sunday’ was a suicide song composed by Hungarian pianist Rezső Seress in 1933. With English lyrics by Sam M. Lewis, it was made famous by Billie Holiday in 1941. Brought up to date with some synthesized seasoning and a hypnotic bass backbone from Michael Dempsey, its genius lay in retaining the original’s impending doom. Described by Mackenzie in Smash Hits as a “quasi-Neil Sedaka song”, ’18 Carat Love Affair’ was ASSOCIATES’ most commercial offering and a fine example of their supreme avant pop. Martha Ladly’s girlie shrill went hand-in-hand with the incessant synth riff in this tale about a gay affair that Mackenzie was trying to hide. But Rankine was uncomfortable with its overt poppiness, so it was instrumentalised and shortened as ‘nothinginsomethingparticular’ to end the original version of the ‘Sulk’ album. It ended up on the US version of ‘Sulk’ with a revised tracklisting. Please note, the rare 1988 CD of ‘Sulk’ based on the US Edition is the only way that the original single version can be obtained digitally as the version on the ‘Popera’ collection, the remastered V2 edition of ‘Sulk’ and the later ‘Singles’ compilation is an inferior mix with half the synths and backing vocals missing! Continuing where BEF had left off but with more obvious use of synths, Martyn Ware produced this single for Mackenzie’s solo return as ASSOCIATES. It had the classic ASSOCIATES sound despite the absence of Alan Rankine who had left in late 1982 following Mackenzie’s refusal to tour the ‘Sulk’ album. But although it was a good song, some of the magic was missing. It could have been why ‘Those First Impressions’ narrowly failed to crack the UK Top40. Originally a surreal psychedelic number by SIMON DUPREE & THE BIG SOUND, this was first recorded by ASSOCIATES in 1981 under the pseudonym of 39 LYON STREET with Christine Beverage on lead vocals. Mackenzie recorded a new version with himself on lead vocals in a more frantic arrangement for a Radio 1 session in 1984 along with new versions of ‘A Matter Of Gender’ and ‘The Affectionate Punch’ as part of a getting back on the horse process for ‘Perhaps’. These archive BBC recordings were released in 2003 and captured an interesting interregnum in Mackenzie’s career. Mackenzie obviously loved THE HUMAN LEAGUE so as well as working with Martyn Ware, he roped in ‘Dare’ producer Martin Rushent to handle duties on a couple of the tracks from ‘Perhaps’. ‘Waiting For The Loveboat’ was the last song Mackenzie and Rankine actually wrote in their first phase together but it was solely credited to Mackenzie as part of their eventual divorce deal when they split in late 1982. ‘Waiting For The Love Boat’, though more glossy in sound, could have easily come off ‘Sulk’ despite the bassline sequence replacing Michael Dempsey. ‘Perhaps’ was a comparative disappointment after the wondrousness of ‘Sulk’, with many of the tracks suffering from being too long and too smooth. But one song which stood out was the epic string laden drama of ‘Breakfast’. It is possibly Mackenzie’s greatest single moment, the melancholic piano motif setting the scene for an entire film noir in five minutes with its widescreen dramatics and mournful tension. Written in collaboration with YELLO, this immense brooding ballad became a European hit for the Swiss duo featuring the vocals of Dame Shirley Bassey. ‘The Rhythm Divine’ had originally been written as part of an ambitious project about Marilyn Monroe under the working title of ‘Norma Jean’. Mackenzie’s own vocalled version had been released as a 12” single in its own right, while it was also due to be included on ‘The Glamour Chase’ album which WEA then refused to release for being uncommercial. If there was a computer programme to produce a composite ASSOCIATES hit single, then it probably would have come with up ‘Fire To Ice’. With Mackenzie now free from all the hassles at WEA and finding a new home in Circa Records, ‘Fire To Ice’ acquitted itself well as a potential hit single following ‘The Glamour Chase’ debacle. But despite the fresh approach to a classic sound, ‘Fire To Ice’ failed to capture mass sales recognition needed to re-establish Mackenzie to a wider audience. A smooth, sunset romance in collaboration with old friends YELLO, the title said it all. ‘Capri Calling’ was a most beautiful set piece that captured a gentle Mediterranean spirit. From YELLO’s ‘Baby’ album, a fair number of Mackenzie best songs post-Rankine were with Boris Blank and Dieter Meier. So it was a shame he never did a full album with the duo. The soaring ‘Baby’ title track which Mackenzie also did with YELLO did not appear on the album, but later featured on his first solo long player ‘Outernational’. Known to be the last song Mackenzie recorded, ‘Pain In Any Language’ was a sombre collaboration with APOLLO 440 which sounded fittingly like a lost ASSOCIATES track. This was ethereal Cold War chic with synthetic cimbalom and windy sweeps for that epic Eastern European feel that Marc Almond often liked to strive for. Fittingly, APOLLO 440 played the 2007 tribute gig at the Shepherds Bush Empire alongside BEF and ONETWO. Posthumously released, this midtempo dance number was from a joint album Mackenzie had been working on with Paul Haig, another under rated Scottish talent. Lyrics such as “calling all nations, station to station” harked back to Mackenzie’s love of Bowie while the rhythmical groove proved that his voice still had relevance in a modern club orientated world. Also from these sessions was a recording of EURYTHMICS’ ‘Here Comes The Rain Again’ which eventually surfaced on the 2004 electro collection ‘Auchtermatic’. Initially part of the ‘Wild Is The Wind’ covers EP issued by Rhythm Of Life, this heartfelt version of ‘Never Turn Your Back On Mother Earth’ was certainly superior to Martin Gore’s version on ‘Counterfeit’ and close to equalling SPARKS’ fabulous original. Stripped down to piano and strings with Mackenzie’s haunted falsetto at the centre, this was a fine reinterpretation by any standards. The posthumous ‘Transmission Impossible’ selection issued in 2004 ensured that more people could hear it. The vocal from Mackenzie’s stark cover of Randy Newman’s ‘Baltimore’ from the ‘Wild Is The Wind’ EP was flown into a hypnotic bootleg dance track by ace producer Jori Hulkkonen, best known for his work with John Foxx and as part of SIN COS TAN. With deliberate incorrect spelling of our hero’s name to mask its illegal nature, a video was also made to accompany the haunting ghostly return from the heavens to the dancefloor. Mackenzie would have loved it and had he been alive today, he would have almost certainly been working with Hulkkonen.